Ivory is a great choice. This Finish gives off a suggestion of Passing Time... We like to give a Satin finish for Ivory as it adds to the authenticity of the Finish. This is great for a room intended to be used in the evening hours such as a Dining or Study Room. The glowing Lighting Fixtures sellected for this kind of room will add to the beauty of Ivory. We like to use Cream for a varity of reasons. The foremost use is to give a reef for other Tints to attach themselves to. If a Client specifies 2 different Tints we like to draw them together with a Cream especially made up to compliment the other chosen colours. Cream can be many things including warm or cool to the eye. The final outcome of our Finishes rely on a good understanding of the Interior Designers' intentions. We work with you to create a Finish that compliments your Designs. We use a varity of 'Gold' products to create our Finishes. 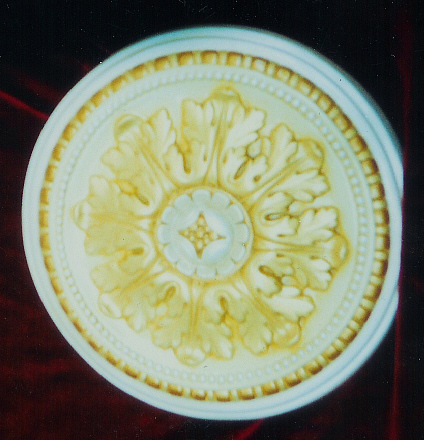 The most popular is a Faux Gold leaf which can be applied using various techniques. We follow the Method of using any colour we choose as the underlay for Gilding. Striking effects can be achieved this way. 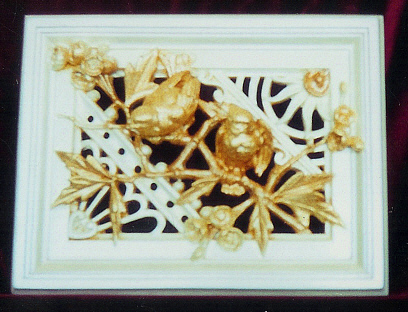 Pure Gold Leaf is available for Special Projects. Gold can also be applied using Acrylic Paints. We use 'Pale Gold' and 'Rich Gold' depending on the requirements. There are enamel Golds also. Paint can vary with the intensity of Gold and we sometimes add our own gold powder to enrich the Finish.